BELOW COMPS!!! A true 4 bedroom home, 3 full baths with bonus room. Everything you love in a Custom home. Post-tension, monolithic slab, energy star rated. (HERS rating of under 65) The perfect location in Cobblestone curve with the pool and clubhouse being just up the street. Perfect location! 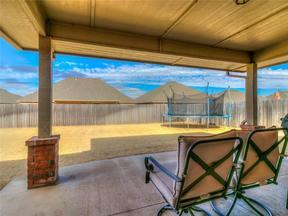 10 minutes to quail springs mall, 5 minutes to Hefner lake, 1 mile to the corridor of eateries on Memorial. Your open concept floor plan boasts crown molding, hardwood flooring, custom blinds, HUGE walk-in master closet ( 13x 10 ), granite in all bathrooms, 5-foot walk-in shower, sprinkler system, 20x19 designated bonus room with private bath, walk-in kitchen pantry storm shelter and more. If you love to entertain, this open concept floor plan is for you. Priced below comps in the area! 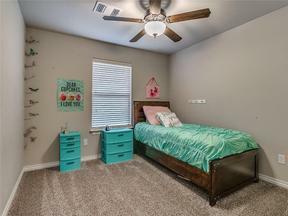 Move in ready complete with fully fenced yard, custom blinds, and five ceiling fans. Take the virtual tour today for more detailed photo's and views of the amazing clubhouse and pool area. This information is believed to be accurate but is not guaranteed. Subject to verification by all parties. The listing information being provided is for consumers’ personal, non-commercial use and may not be used for any purpose other than to identify prospective properties consumers may be interested in purchasing. This data is copyrighted and may not be transmitted, retransmitted, copied, framed, repurposed, or altered in any way for any other site, individual and/or purpose without the express written permission of MLSOK, Inc. Information last updated on 04/19/2019.